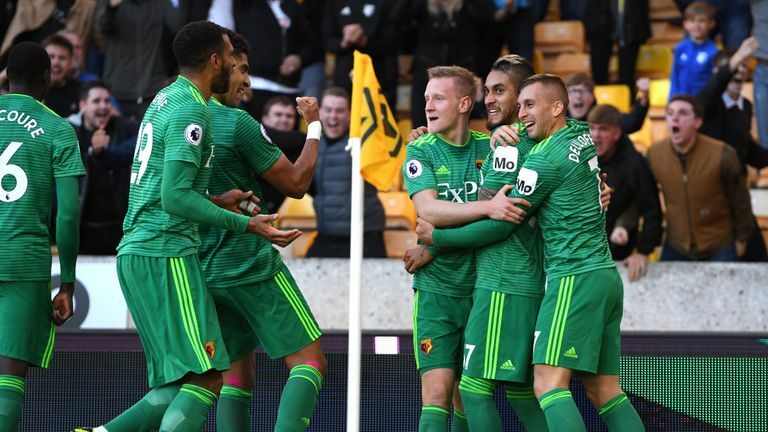 Wolves manager Nuno Espirito Santo says Watford were the better side during a 2-0 defeat on Saturday and deserved their win. The hosts were sucker-punched by two Watford goals in 58 seconds during the first half at Molineux and despite improvement after the break, they failed to find the net. It bought an end to Wolves' six-game unbeaten run in the Premier League, and Nuno believes that the visitors were worthy winners. "As a team, they were better than us. They began the game well and we didn't play well in the first half. We didn't stick to our rules and tasks so they were better than us and they achieved a deserved victory," he told Sky Sports. "They were more compact and we made mistakes with our possession that allowed them to always recover the ball and go out and create some situations. "In the other part, we didn't move it, we didn't break, there was no mobility or movements to create the space. It was not very good in the first half. "The second half, it was better and if we must lose, we must lose like this with this attitude and energy and knowing we must play the game until the end." 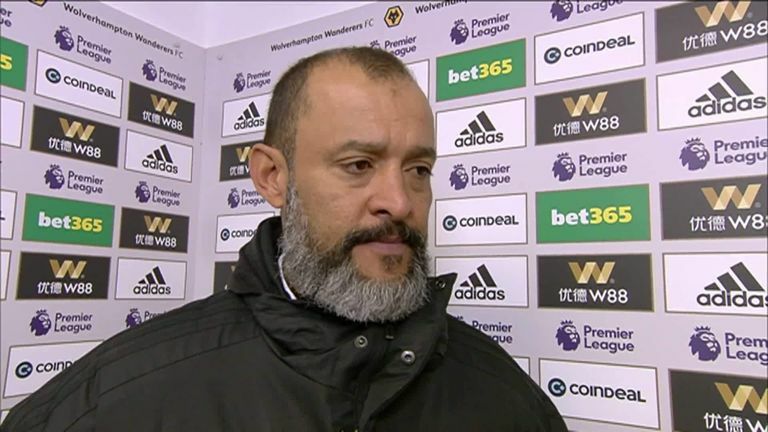 When asked if the speed of the goals - particularly the second from Roberto Pereyra - was frustrating, Nuno added: "Every goal is annoying, but we must not do it again. "There must be a moment of calmness to realise and analyse, and in management we call that 'control of the game'. Even if you concede a goal, you must go back but go in an organised way. "We learn from every game. This is a tough one but we must bounce back."